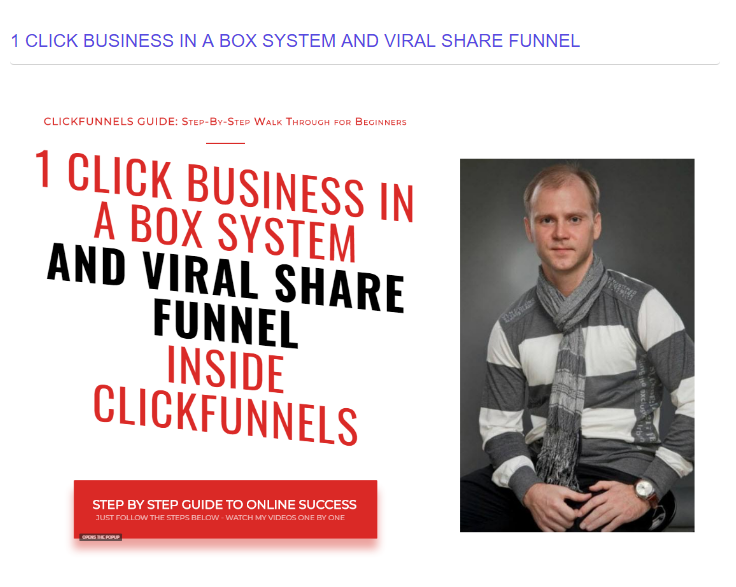 What is 1 CLICK BUSINESS IN A BOX SYSTEM AND VIRAL SHARE FUNNEL? This is what I call a SELF - LIQUIDATING Funnel and this is your way to get your new leads and subscribers for free even when you are using paid traffic! 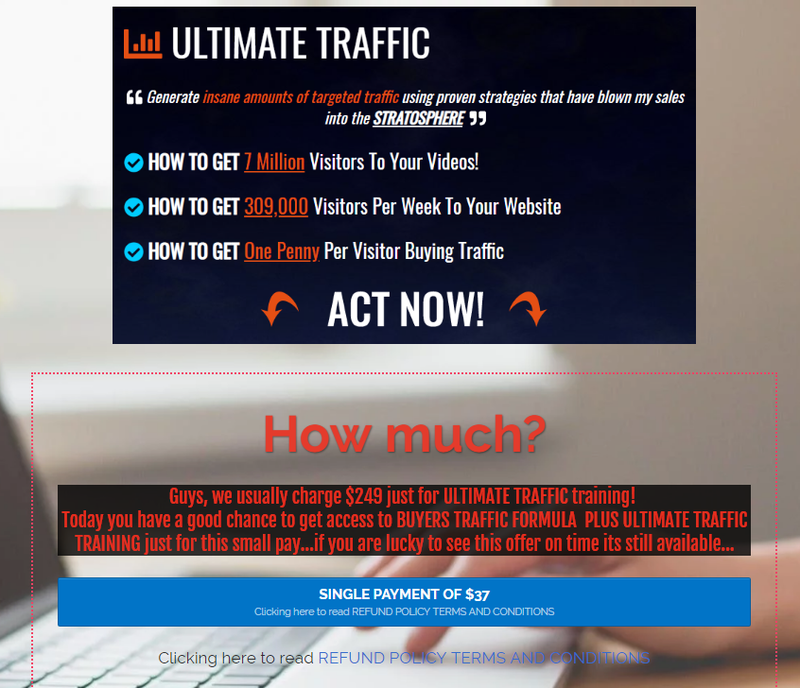 If your funnel done right and you pay $100 for traffic - you will not only get at least 30 new leads, but also you will make at least $100 + 1 at the same time. 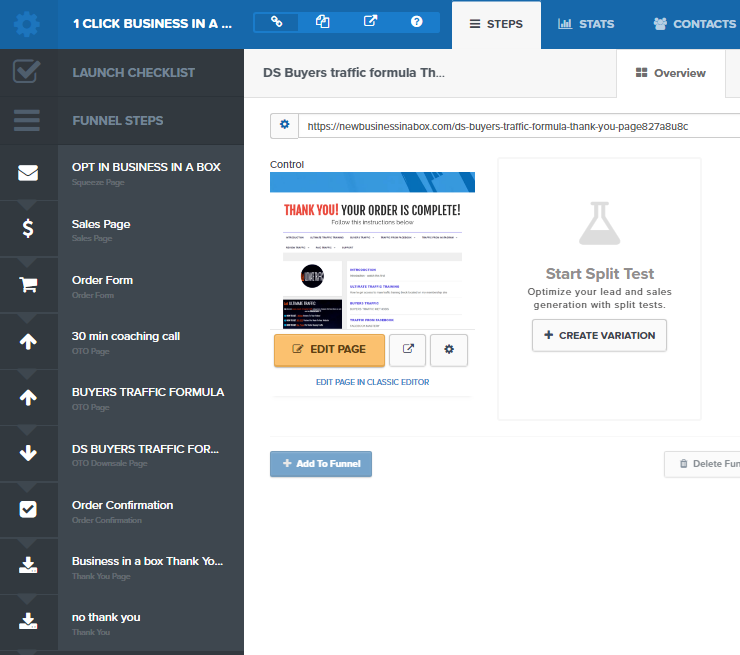 This is how a self-liquidating funnel gives you free leads. So just follow the training step by step to learn how. This is what I call a Self-Liquidating Funnel. This strategy allows you to build your List for free (using paid traffic) and if your traffic source is good enough you will even make money during the process of creation your List. You can get the same funnel now - just click this button below. 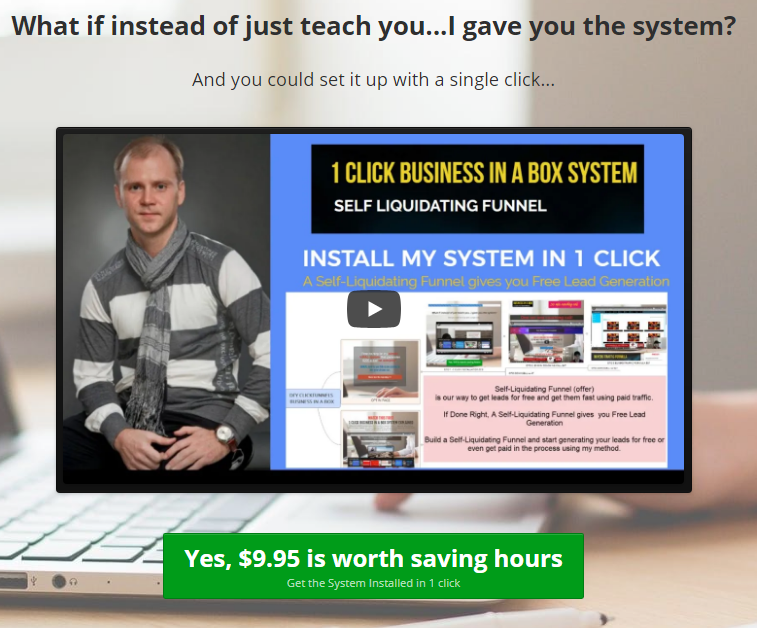 it is time to import MY 1 click business in a box funnel TO YOUR PC! First of all you must already have registered Clickfunnels account - to get 14 day free Clickfunnels trial account just click this button below. Now just keep your Clickfunnels tab opened and click this button below to import my system - this is SHARE FUNNEL LINK and my hole system will be automatically imported to your Clickfunnels account!